How to use Checkout 51: Earn Cash Back on Groceries! What is Checkout 51 and how does It work? Checkout 51 works on your computer, cell or tablet and lets you easily earn Cash Back on groceries! Here's an easy how to, to teach you how to use Checkout 51, since Cash Back Grocery Programs are relatively new. We've all gotten use to paper coupons and these new-fangled ideas scare many of us, so we're slow to try them. Well, I don't want you to miss out on the savings, so I want to teach you how to use the newer ways to save, and this Cash Back program is really easy! It's yet another way to save on groceries. We have (1) Sales/BOGOs/etc., (2) Manufacturer's Coupons, (3) Store Coupons/Loyalty Cards, and now we have (4) Cash Back! It's truly a great thing! Keep in mind, this cash back savings is "in addition to" or "on top of" any money you save with sales and other coupons! Also, as of the time of this writing, Checkout 51 was also offering a $2.00 Cash Back Sign-up Bonus that applied to your first purchase! Best of all, these are not additional coupons that you have to take to the grocery store and there's no stacking or match-ups involved. It's very easy. Plus, Checkout 51 can be used on your computer, tablet or mobile phone. And, they often offer cash back for items that you almost never get regular coupons for, like: fruits, vegetables, milk and eggs! I hope that more Grocery Cash Back Programs will become available that are this easy. When they do, I'll be sure to notify you. Every Thursday, Checkout 51 comes out with a list of Groceries, and they tell you how much Cash Back you will receive if you purchase that particular grocery item(s). You can purchase these items at ANY store and even online! 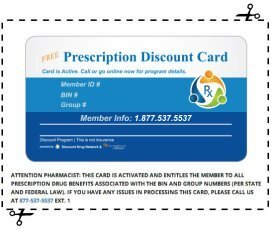 Best of all, you don't have to connect the coupons to any Loyalty Cards, you don't have to print coupons and take them to the store--it's sweet! You might want to print the list of groceries and take it grocery shopping with you to remind you to purchase some items - that's what I do anyway. You can use any form of payment to pay for your groceries (Cash, Debit Card, Credit Card, Check, Food Stamps or EBT Card, Coupons...). Then, once you've purchased one or more of the items on their list, by Wednesday evening (their weekly deadline), you simply need to take a photo of, or scan a copy of the receipt(s) showing the items that you purchased on their list and upload it to them. They don't deduct any other coupon savings that you've already used toward the purchase from your cash back either. So, if you used paper coupons at the store, and it made the item less or even free, you'll still receive your full cash back for the item - sweet! The Cash Back will then be credited to your account. When your account reaches $20, they send you a check! Money back for purchasing groceries that you were going to buy anyway - you can't beat that with a bat! Go get that cash, Discount Fanatics!